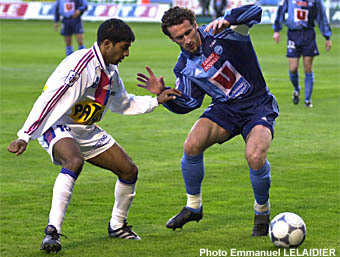 Vikash Dhorasoo was magnificent yesterday as the Mauritian football team drew 1-1 with Olympique de Marseille. Vikash showed the 20,000 mauritians in the stadium why he is one great midfielder and is going to Milan AC. But, the second half was great and, of course, we had our ravanne and Mauritian flags and we (Christian, Jyotish, Ashvin and myself) did a lot of noise as usual.